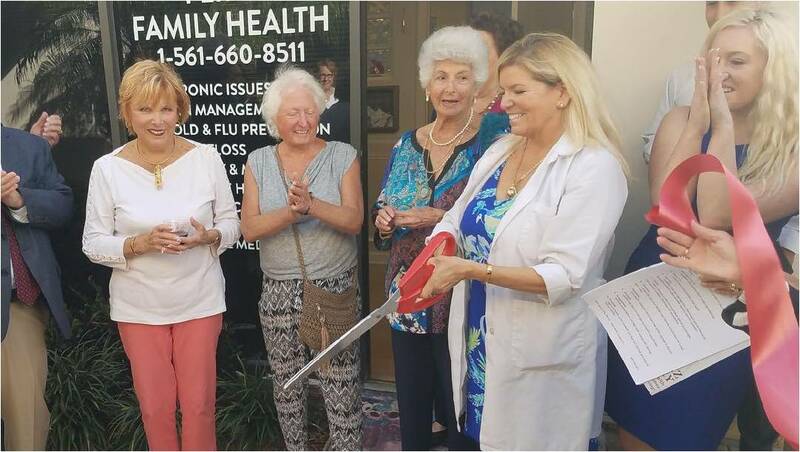 Perry Family Health is located at 12300 Alt A1A Hwy, Suite 115, Palm Beach Gardens, FL 33410 and recently hosted their official Grand Opening on January 8, 2018. They offer a full family practice using primarily Acupuncture and Chinese Herbs to effectively treat patients with a variety of ailments including pain management, Migraine’s, Anxiety, Depression, PTSD and Insomnia, Weightloss, Addictions, Hormone Imbalances, Menopause, Male E.D., Fertility, G.I. Issues such as Crohn’s Disease, Acid Reflux, Tinnitus, Eye Issues, Auto Immune Disorders, Chronic Fatigue Syndrome and much more. Dr. Liz Perry is Harvard educated and comes from a long lineage of Medical Doctors and clinicians and is originally from the Boston area, always priding themselves on helping the patient reach their health goals. The slogan at Perry Family Health is “Where LIFE Becomes Healthy Living! : The staff at Perry Family Health looks forward to serving you here at The Gardens! Call to Action. (561) 660-8511.